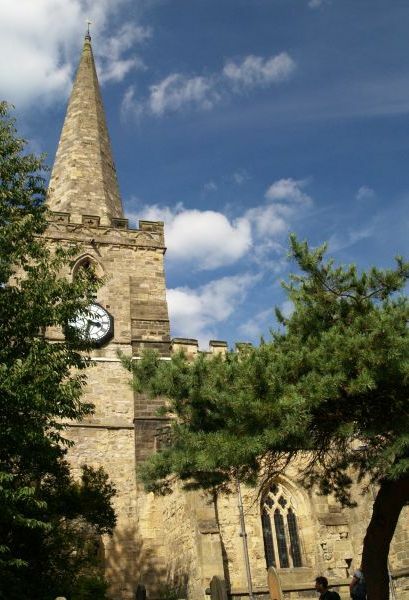 The spire, tower and entrance of St Peter & St Paul's C of E Church, Pickering. 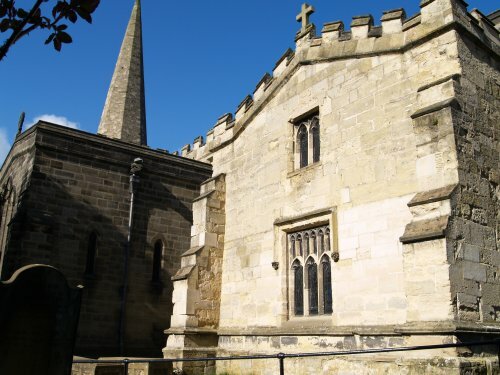 The earlier Saxon church was replaced by the Normans and rebuilt around 1140 onwards. 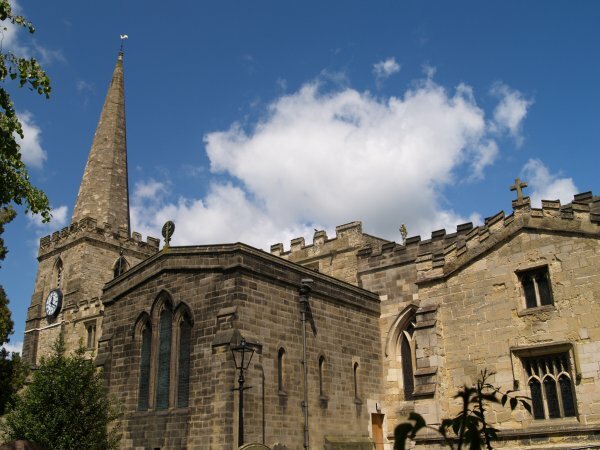 An excellent guidebook is available (for a £1.50 pounds in 2007), which fully describes the architectural history of the church. 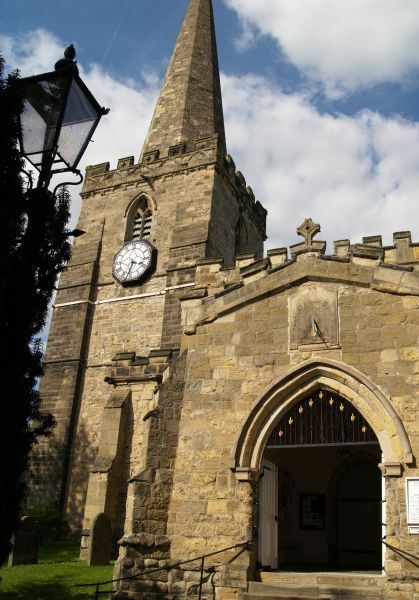 There are regular concerts in the church, so watch out for the advertisement posters in town. 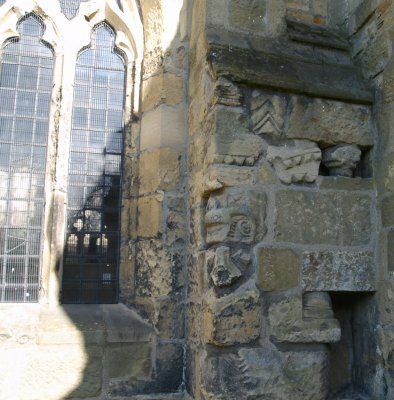 Odd bits of earlier stonework set in the wall seem to have been just used to fill in and repair walls, or just to preserve them in a useful way ???? but some of the tracery in the medieval windows is the original - but much weathered. 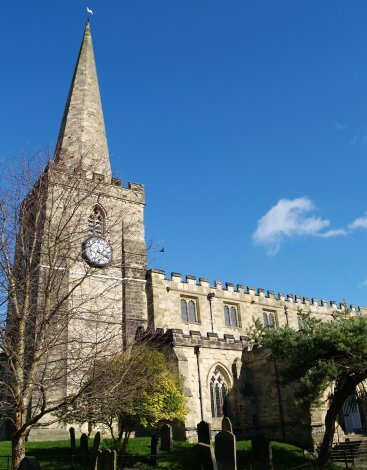 The east end of St Peter and St Paul Church, Pickering. Looking down the nave to the altar through the Norman arch into the chancel. 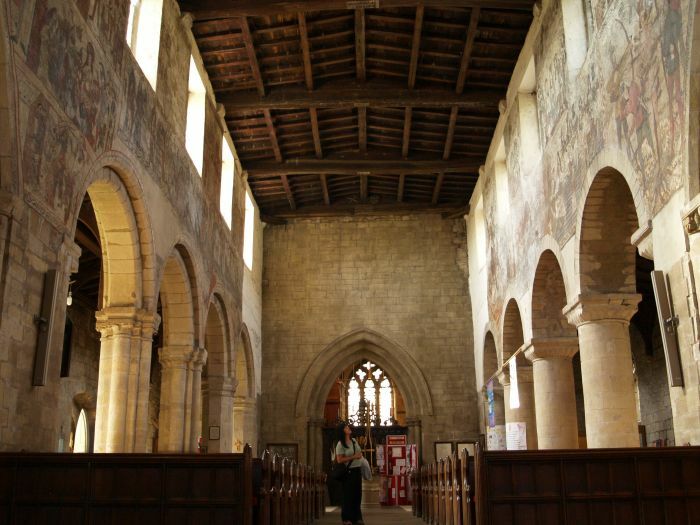 The Norman arches of the aisles, with help from restoration, still proudly stand ('Romanesque' style). 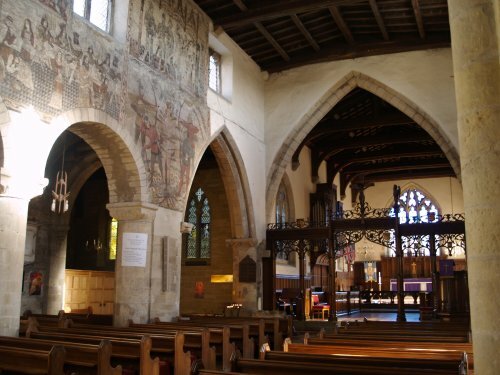 An excellent guidebook is available which fully describes and explains the medieval wall paintings you can see high up on the right. 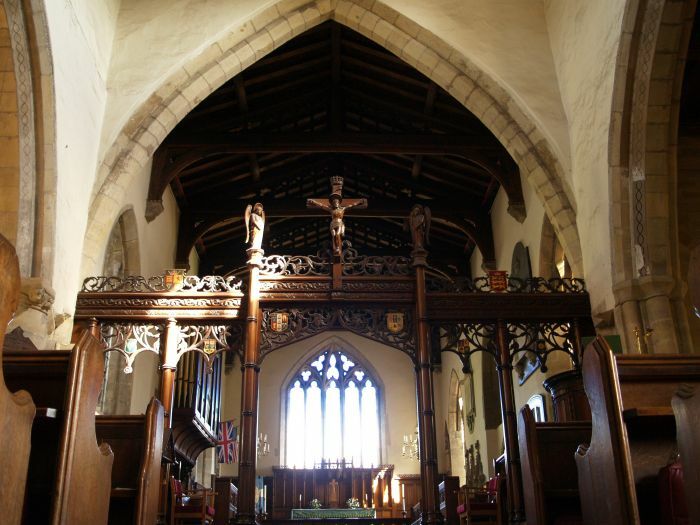 The rood screen and entrance to the chancel and altar. 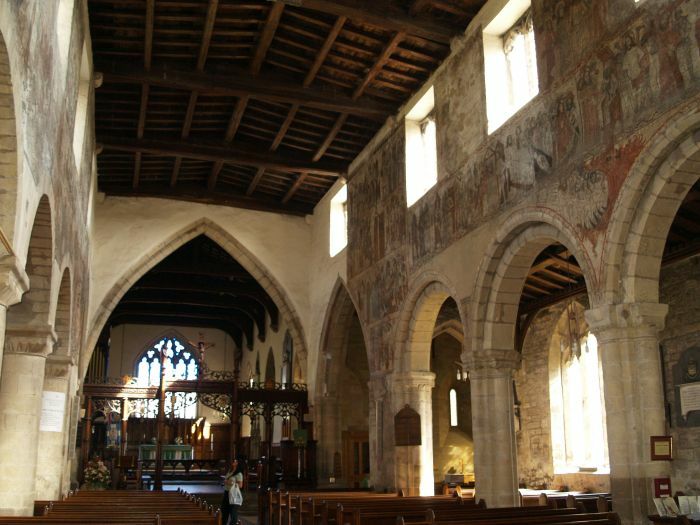 Looking west down the nave. 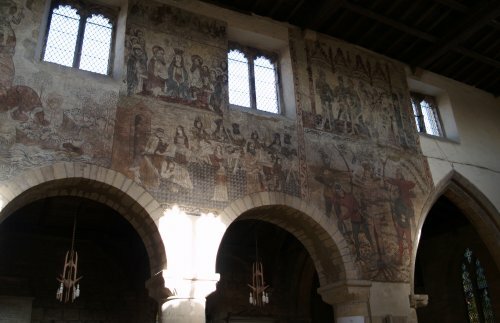 The medieval wall paintings were probably commissioned around 1450 but covered over after 100 years due to the Protestant Reformation. 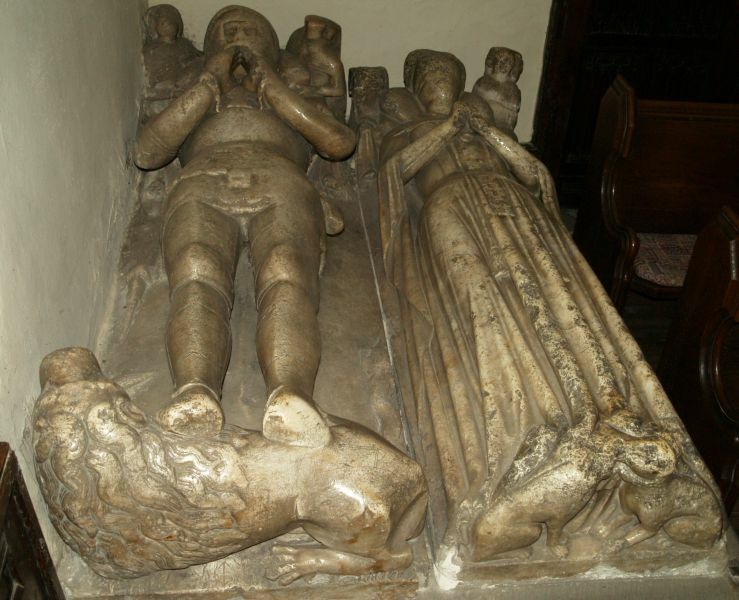 They were accidentally discovered in 1852 and then covered over again with whitewash. Happily, from 1876, the enlightened Rev. G.H. 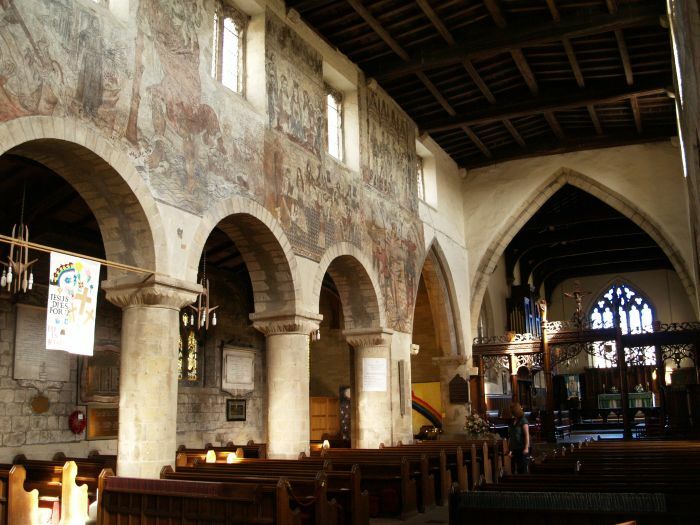 Lightfoot allowed these wonderful 'frescoes' to be seen by all concerned, despite the potential distraction from the sermon! 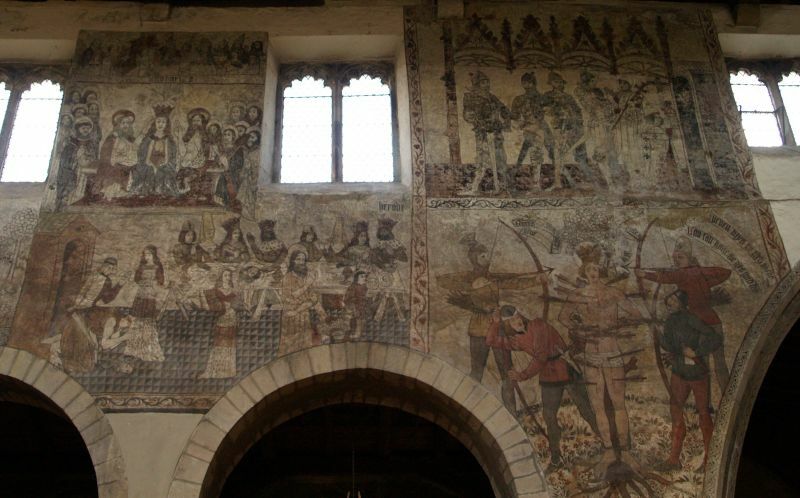 The purpose of wall paintings, like many others in medieval churches, were to help convey the messages in biblical and other religious stories to the then, largely illiterate population, and very explicitly are the stories told! 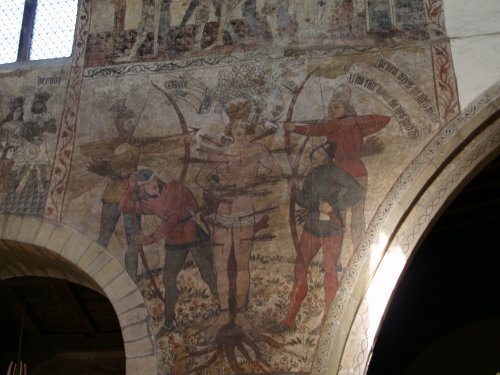 Wall painting detail - the martyrdom of Saint Edmund in AD870, 'graphic in the extreme' to the God-fearing congregation of the Middle Ages. 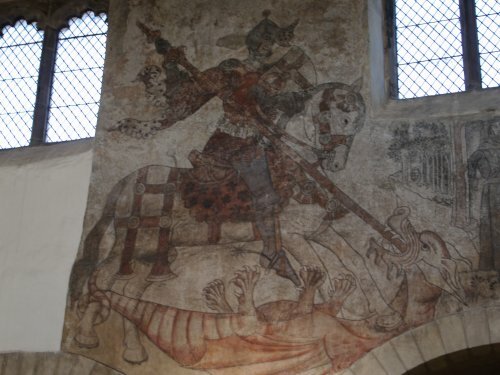 Wall painting detail - St George slaying the dragon.